The level of public debate is so ill informed in this self-styled fortress of Islam, that if it were not so painful to the educated eye, it would be hilarious. Illiteracy has been chosen as the best opiate to keep the masses ignorant and at bay by the cunning who are the gleeful beneficiaries of Pakistan kleptocratic so called system. An exaggerated focus on the lofty, historic principles of a great religion is the other great diversion to keep the masses occupied as the ruler’s loot and plunder. In a country where every steel mill owner drives sports cars and expensive SUVs, the Pakistan Steel Mills remain shut, bleeding billions of rupees a year. Does anyone even remember how on the momentous return to full democracy, Asif Zardari plundered $350 million in cash from the PAK Steel Mills using front man Riaz Lalji? This is what crippled the industrial giant within six months of Zardaris being elected. Democracy was indeed the best revenge! A money launderer and Tax Evader as Finance Minister will only appoint similar smaller thugs and facilitators to be the head of Federal Tax Service, The National Bank and the Securities Commission. The national Airline is being purposefully bled, mal-administered and run into the ground to promote Air Blue owned by Minister Shahid Khaqan Abbasi. Another relative]s son is in charge of the power ministry, he has given the gift of 12-hour power cuts in rural areas. 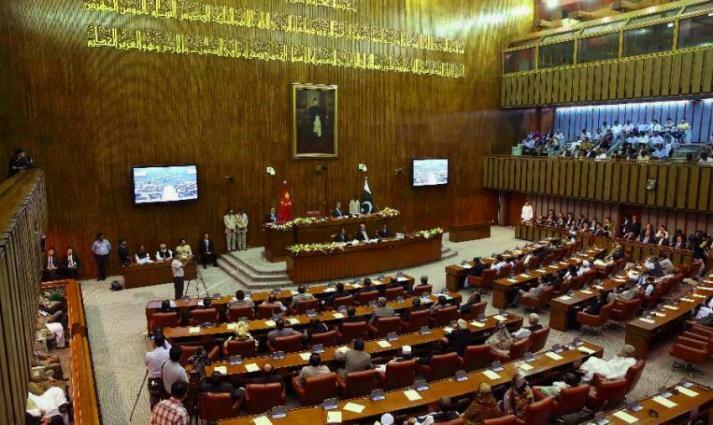 Zardari’s Power Base Sind Provincial Assembly has passed a law against anti corruption efforts, he wishes for his loot and plunders to go on unimpeded. The PML-N lot seem to have a thing for Musharraf’s erstwhile cheerleaders! Journalists are openly on the take, peddling blatant falsehoods on TV and in print for a fist full of dollars. Lie loud, hard and repeatedly and the buffoons will believe you! Polio, eradicated around the globe, still rears it’s ugly head in the land of the pure, with medical teams and nurses attempting to administer drops regularly shot at and killed. While still struggling to produce enough electricity despite all claims, the looming water crisis is not even mentioned by anyone! The elected wizards making lofty claims have not been able to build a single major dam in the last four decades. Production of poultry, eggs, sugar, cement, banking, telecom, cars, milk, meat, oil and steel is increasingly concentrated in the hands of a few hundred families, all connected to politics, all growing fabulously rich. The government is inefficient to the point of being useless and dispensable. Even the simple task of garbage collection in this country of 200 million illiterate souls is being done by Turkish companies connected to the ruling family. Payments and kickbacks both being made in dollars abroad! Every single state enterprise being run by this country’s immoral, shameless , corrupt, complicit bureaucrats are inefficient and loss making to the point of being redundant. Civil servants are little more than servile, slimy facilitators, bowing and scraping as they obsequiously pleasing their political masters while feeding off the few grubby crumbs thrown their way. Yet this blighted lot, the masses want democracy! 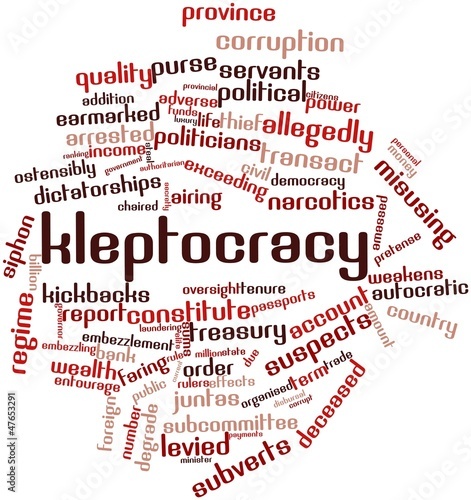 Dear sirs, who will explain to these morons, that this is NOT a democracy, it is elected KLEPTOCRACY. If this creaky structure is to carry on, if this geographic entity is to survive with its current borders, it needs a strong man at the top with a few determined good men to sort it out. Ban and banish anyone who has ever held elected political office over the last 50 years, bring back looted money, empower the civil servants, and clean the mess up.